Trick or treat! Are you afraid of things that go bump in the night? Some of us more than others, for sure. In honor of all things Halloween, we’re talking about The Top 5: Scariest video games! 5. DmC Devil May Cry – While not really a scary game per se, the ambience of the new DmC Devil May Cry is by far one of the most inventive and creative in series history. The folks at Ninja Theory crafted a fine reboot out of DmC Devil May Cry and made the combat even more frantic and yet more challenging than its predecessors. Of course, this wouldn’t be a scary list of video games without the grotesque characters you’re facing in the game. I mean, in what other game can you say that you fought a parasite that was inherently urinating carbonated soda for people to consume? This game, that’s what. 4. Castlevania 2: Simon’s Quest – Really? How can a decades old game incite so much terror in the heart of an adult man? Men hung by their necks on rafters, collecting Dracula’s parts to revive and finally defeat him, while the world is engulfed in horror? What’s not scary about that? Ok, maybe I’m exaggerating, but it did strike fear (and frustration… but let’s not get into that) in the heart and mind of this child that the memories are still fresh. “What a horrible night to have a curse?” Hell yea it was. It was also a pain in the hell hole! 3. Left 4 Dead – Sure, Resident Evil paved the way for zombie horror games today, but nothing elaborated on it more than Valve’s Left 4 Dead. You want to talk scary? How about hearing the cries of the witch and being careful not to flash the light on her, which would’ve caused you to die instantly?! Or how about the gurgling sounds of the Boomer, surrounded by a bunch of hungry zombies just wanting to feast on your brains? That Director AI sure knows how to toss the right kind of zombies in your direction, and while you get terrified and startled a lot of the time, it’s an experience unique to video games that just makes you keep coming back for more. Mmm, brains. 2. Fatal Frame series – Out of everything in my list, none have scared me as much as the Fatal Frame series. In fact, I’ve yet to finish a single game in the series and I still consider myself a fan of it! Its scares run deep in me, given that I grew up in Asia and I’ve been exposed to a lot of these things, but I appreciated the level of focus that the developers had with really throwing off players’ expectations and really delivering an authentic Asian horror experience. Buyers beware: the Fatal Frame games are the kind of thing that keeps you up at night! 1. Silent Hill 2 – “James? Did something happen to you? After we got separated in that long hallway? You always were so forgetful. Remember that time at the hotel?” Silent Hill 2 is barnone my favorite horror/scary game of all time. It improved upon the original, delivering higher fidelity graphics, uneasy animations (that were panned at the time), and voice acting that was much better than the recent HD re-release. And while Sean considers the original Silent Hill as the better of the series based purely on originality, Silent Hill 2 expanded on the series mythology and elaborated on not just the history of the town, but also little things like why certain people in Silent Hill see demons differently from one another – a concept that the Silent Hill movies never truly grasped. For me, horror video games AND movies will need to match the level of complexity and mythology that Silent Hill 2 delivers and sadly, there really is only a few out there that matches it. I don’t play a lot of scary games. They’re just not my thing. I’ve never played through a Resident Evil or a Silent Hill, and the one survival horror game I did play has appropriately made this list. This means the rest of my top 5 scariest games will have to be picked from other genres! This week’s honorable mention goes to The Legend of Zelda: Ocarina of Time. Okay, so this game really isn’t that scary at all… until you bump into a couple of ReDeads. Then all of a sudden you hear a terrifying wail that paralyzes Link in his tracks. It’s freaky, man! To make things worse, while Link is paralyzed the ReDeads slowly walk towards him, and if they get to him, they climb on top of him and start chomping on his head! Scary! 5. Catherine – A woman’s rage is no joke, but that’s not why Catherine made the list. It was the creepiness of the bosses that really got me. Each and every one of them is twisted. There’s one where a couple of giant hands are trying to stab you with a fork. Then there’s that freaky giant baby and the child with a chainsaw! Scary stuff. 4. Doom 3 – When I think of the scariest first person shooters I’ve played, I always remember Doom 3. I mean, yes, it’s pretty much just a bunch of dark hallways and rooms with creepy noises and monsters suddenly jumping out at you, but that made me jump out of my chair enough times for Doom 3 to earn a place on this list. 3. Limbo – That freaking spider! Holy crap that was creepy. Limbo is a fantastic game, and one that pretty much anyone can play. I’ve introduced Limbo to all sorts of people, from my friends to my parents, and all of them—gamers and non-gamers alike—were drawn in by its minimalistic artistic style, its haunting audio and its mysterious world. But there’s always one point where they put the controller down. Yup. The spider. With all of its violent death traps, the game was already pretty scary up to that point, but when that spider guards the path forward, and its huge leg moves towards the main character, shoot… anyone would take pause. I consider the puzzles that involve the spider to be the best part of the game, but the whole game is definitely worth your time. 2. Amnesia: The Dark Descent – As the one survival horror game I’ve played more than a few minutes of, it should be no surprise that Amnesia: The Dark Descent found its way onto my list. What amazes me is how scary it is in the early hours of the game, long before anything is actually chasing after you. The incredible atmosphere coupled with the aural presentation combine into a really scary setting. It’s made scarier by the gameplay mechanic where darkness drives the main character to madness, and light restores sanity. Amnesia: The Dark Descent is definitely one of the scariest games I’ve ever played. 1. Minecraft – Yes, Minecraft. Two words: Sss.. BOOM! I’ve been playing videogames for more than 25 years, and in my entire life, no game has ever caused me to jump out of my chair more than Minecraft. Whether it’s deep in the cavernous depths of the mines or just outside my front door, the sudden sound of an approaching Creeper, or worse, an unnoticed one exploding unexpectedly just scares me to no end. And it’s not just the Creepers! The game is full of sudden noises, like a Skeleton shooting an arrow or any of the various sounds the mobs make while wandering nearby. Not to mention those bizarre atmospheric noises you hear when you are close to an undiscovered cave. 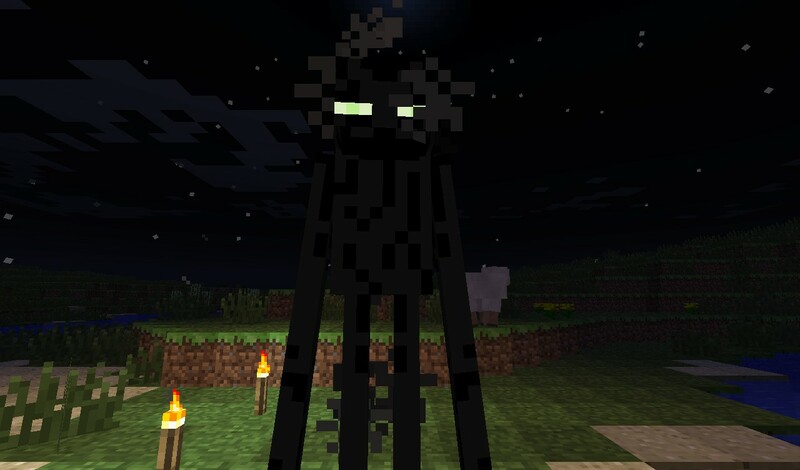 And it was bad enough in the early days of the game… then they added Endermen! They are tall and slender, their eyes glow in the dark, they sound freaky as hell and they teleport right behind you! AAAHHHH! Minecraft is scary. Ari’s scariest game is… Minecraft? 5. Doom 3 – I’m going old school with this pick. 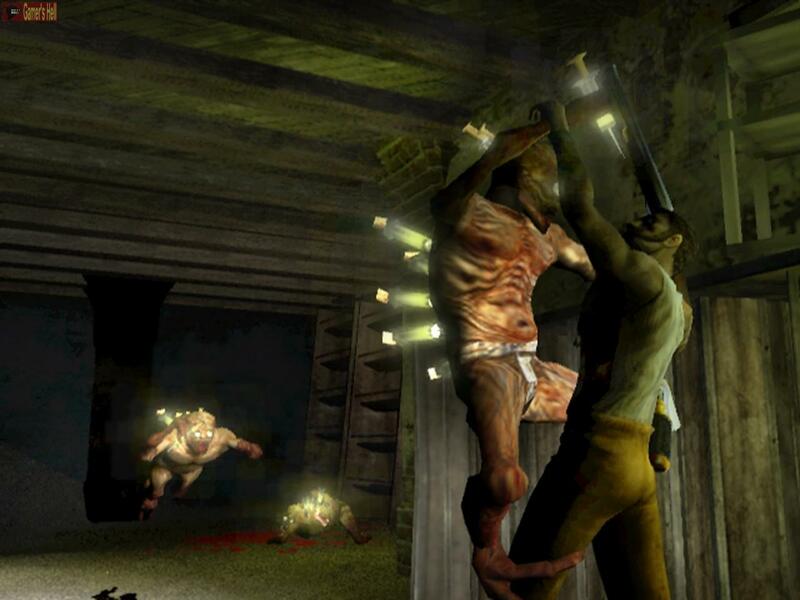 Doom 3 wasn’t the first horror game out there but it’s one most people will overlook. I like the idea of fighting demons from hell who are transported to Mars by teleportation technology. With all that technology, it’s strange no one could mount a flashlight to a gun. 4. F.E.A.R. – When you’re searching through an office building or sewers looking for renegade soldiers and you happen to come across a little girl in a red dress, run. She will be the most dangerous person there. No amount of guns or slow motion powers will protect you from her psychic abilities. 3. Resident Evil Remake – Resident Evil wasn’t very scary, the GameCube remake on the other hand was. When taking down a zombie, players have to light them on fire to keep them from getting back up. There was also a bravo team member that would chase players from room to room that would explode if shot. The Resident Evil Remake not only looked good but it also added some much needed back story to the franchise. 2. Dead Space – Dead Space was the first game that scared and entertained me in a long time. The story did a good job of introducing a scary alien race that was difficult to stop, a religious organization that set everything in motion, and a lead character that was losing his mind. I loved the fact that players had to explore the entire ship in order to complete the game. The silence in the game added to the ambience and potential fear as any little noises in the game meant something was coming for you. 1. 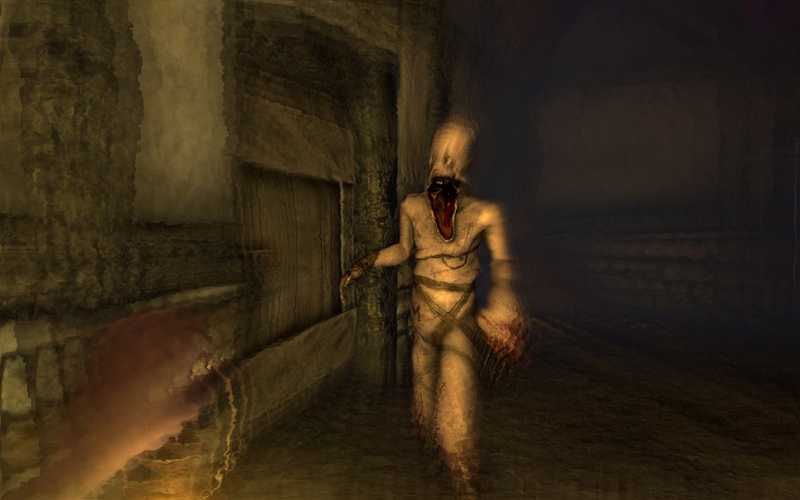 Amnesia – Amnesia is that survival horror game where players have to solve puzzles and avoid a creature that zaps your health if it gets too close. The game does a good job of creating a scary atmosphere anyone would want to avoid. I can’t tell you what the story is about, mainly because I never finished the game. The puzzles were challenging enough to frustrate me into taking breaks from the game and I ended up looking up hints. Unfortunately, too much time away from anything makes it harder to go back but I really want to get back into Amnesia and finish the game. 5. Left 4 Dead – Sure it’s a shooter, but playing on Expert and hearing that thunderous score annoucing the arrival of the Tank is enough to send even the most experienced player into a cold sweat and panic. 4. Silent Hill – For me, the original is the best. Sure it doesn’t look as good as Silent Hill 2 and is much cruder in gameplay, but it has something Silent Hill 2 doesn’t have – originality. A sequel, by definition, is iterative and as such, Silent Hill‘s terror laid the ground work that paved the way for the rest of the series. And kudos to Silent Hill and Konami for making radio static the most terrifying sounds I’ve ever heard. 3. Resident Evil 2 – Overall, I wouldn’t say Resident Evil 2 is scary, but there is one moment in the game, and perhaps in the series that stands out. The interrogation room. As a long time horror fan, the framing should have screamed “JUMP SCARE INCOMING!” and yet when that Licker crashes through the two-way mirror my heart jumped out of my chest. Worse yet, it gets me every single time I revisit it. 1. 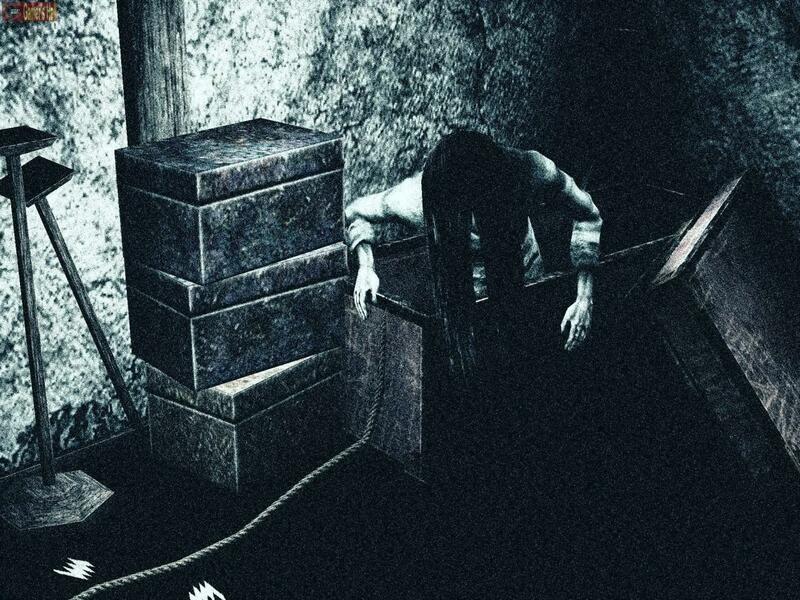 Fatal Frame – I will freely admit that the last 10 minutes of the American remake of The Ring is amongst the most terrifying things I have ever experienced. Not only was it terrifying, it began a long time obsession of mine with Asian horror. Classics like “The Eye,” “Ju-On” and my all-time favourite – “A Tale of Two Sisters” (If you haven’t seen it, do so immediately). Why am I going on this tangent? Because Fatal Frame is all of the terrifying moments of those films, put incessantly into a video game. Ridiculously impressive and terrifying. 5. Dead Space – Fair warning: I only think Dead Space is scary if you own surround-sound headphones. Without them, this game feels like a cheap scare-fest. But with sound, the loud pounding of the door behind you never quite leaves, and it sticks in your head. The amount of mental power you have to use to deal with the audio assault leaves you weak to the monsters that flood the Ishimura. 4. Theresia – This little-known DS title derives its fear from the unknown. Touch somewhere on the screen, and you might get a bonus. Or, you might be penalized. The low-res, blood-covered walls of Theresia set up its narrative: that you are a child that lives under very unusual circumstances, and you don’t belong there. 3. Clock Tower – Maybe it’s because this was a Super Nintendo title, and you had to make do with the hardware limitations. And, as a result, you had your imagination fill in the gaps. Or maybe it’s that the villain, who is always chasing you, and can appear at any time, uses a giant pair of scissors meant to cleave you in two. Nevertheless, I can’t even watch Clock Tower without freaking right out. 2. Amnesia – Ever see this game livestreamed on twitch? Look at the reactions of the people playing it. That’s real and raw. You’ve never felt as helpless and hopeless as you will when you play Amnesia. 1. The Suffering – I know this isn’t on anyone else’s list. I just know it. The Suffering takes place on a prison island, where you’ll have to fight enemies based on different forms of execution. Unlike other horror games, you’re a badass who’s armed to the teeth. But rather than rely on fear of the unknown or fear or death, The Suffering uses fear of what you, the player, are capable of as fear. How far can your rage take you? In the end, your actions determine your history. Someone on your team should try “Outlast”. 1. The Maze game where you can’t touch the side of the maze or someone will pop out..
None of these are nearly as scary as the Operation board game. Someone has never played Condemned: Criminal Origins.